Sam and Caroline are a real life Gavin and Stacey (oh how I loved that show!) They quite literally met, on the phone, through work! Fast forward and they eventually met face to face at a beer festival in 2016 (Caroline has the silly hat to prove it) and its safe to say they became pretty inseparable. Well just a year later whilst on holiday in Dubrovnik Sam asked her to be his wife… and of course she said yes! 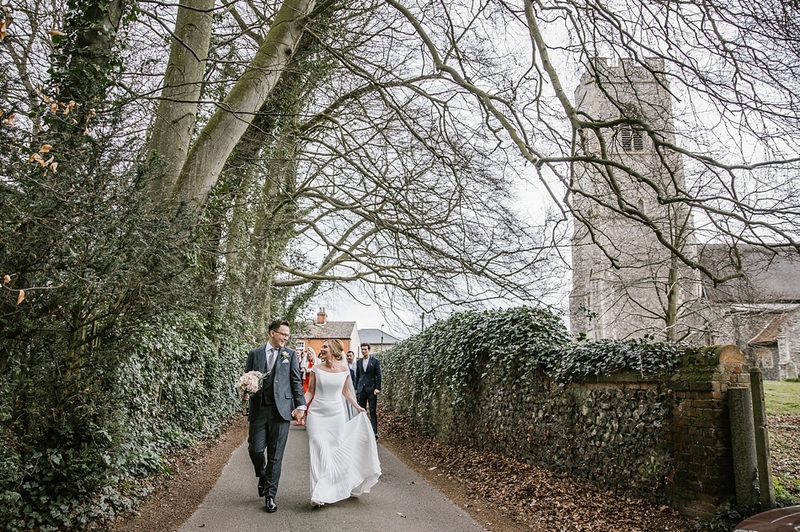 We met in late 2017 when I was very heavily pregnant and I loved the sound of their wedding at the Norfolk Mead. We had the most wonderful engagement shoot in 2018 and it made me so excited for their big day. 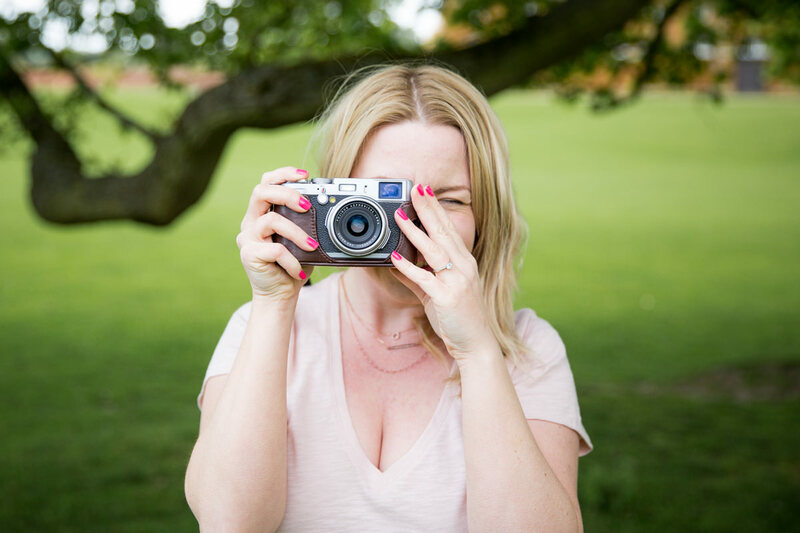 They are a breeze to shoot, so obviously very in love and so much fun together. 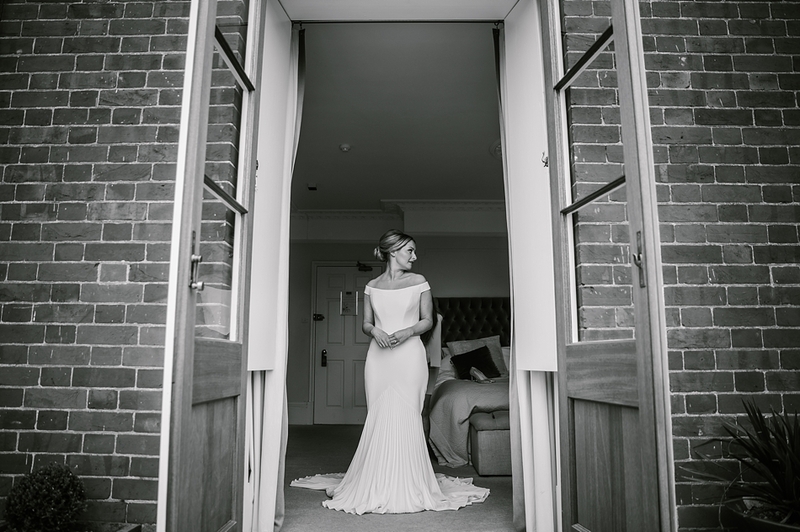 Caroline was getting ready in the gorgeous bridal suite at the Norfolk Mead, a room I very rarely get to shoot in and its just stunning. The fabulous Tracey Ward on hair and the amazing Love Moi Makeup on makeup Caroline and her girls looked stunning and were having such a giggle. Sam and Carolines gorgeous 300 year old cottage is actually just down the road so I met Sam and the boys there for some getting ready images. 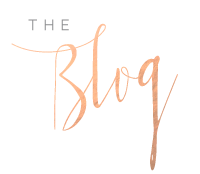 Their house is incredible and has a beautiful brick walled courtyard at the back where we got some lovely group photos before I headed back to the girls. Once back at the Mead it was time to get into her dress from the wonderful House of Snow with the help of her lovely mum. I have to say I have never seen a dress like it, Bardot style with the most amazing pleated skirt its so magical to shoot a dress that is so ‘different’ but so very Caroline! 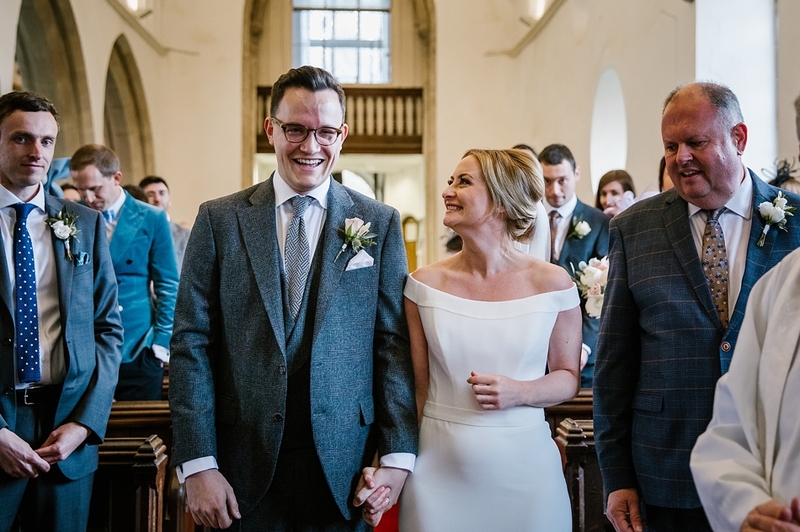 I headed up to the church as guests were filling up the pews and Sam was meeting and greeting then all of a sudden Caroline arrived a full 7 Minutes early! I don’t think I have know a bride be so early for a church ceremony but I just don’t think she could wait to marry Sam! As she walked down the aisle Sam glanced back and then could barely look at her for the first few mins so overwhelmed with emotion! 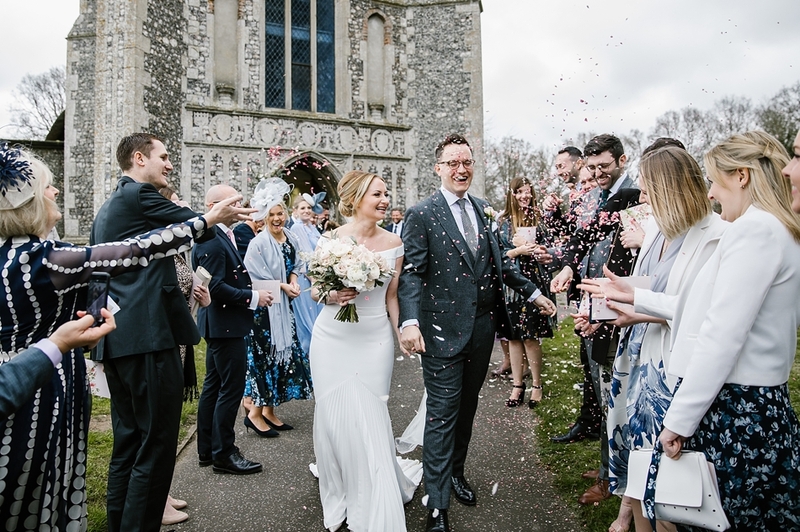 They had a beautiful ceremony and exited to clouds of confetti before walking back to the Mead followed by their guests (one of my favourite shots below). We captured their group photos at the front before they had lots of time for drinks and canapés and we then headed off for their couple shots in the walled garden and down the lane. The guests were seated and they had planned their speeches before the meal which were totally brilliant… I think they are some that will stick in my mind for 2019 thats for sure. We didn’t have any sun all day but a beautiful flat light that is lovely and soft to shoot in. 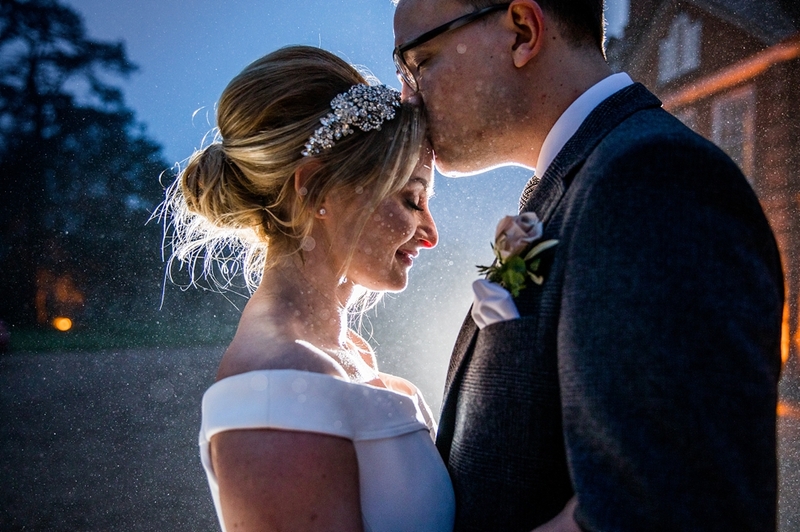 Caroline had hoped for a golden hour and we had a time slot ready to nip out and capture it… sadly it didn’t arrive however we did get some rather beautiful misty rain which produced one of my favourite photos below… who needs sun?! The evening ended with the brilliant Lee Vann for their first dance and disco and after their first dance and some fab shots of their guests I left them dancing the night away.